This is the best cream I have ever made. It is light, silky, soothing & absorbs into your skin in minutes leaving it soft & supple & not greasy at all. I hate greasy, waxy home made creams that coat you in a thick, waxy oil slick that seems to get rubbed off onto everything & doesn’t absorb into your skin. This cream is the antithesis of that – it is perfection in a jar. It is just as good, if not better than any fancy lotion or cream you currently buy – just without the chemical cocktail. It is soothing with Aloe Vera & nourishing with Sweet Almond, Coconut & Vitamin E oils – and it smells divine with its slightly tropical citrus fragrance. This cream has no nasties & works great on all the families skin, from nappy rash to dry old elbows we slather this cream on everything & are rewarded with soft, smooth, sweet-smelling skin. This cream will replace all of those nasty store brought creams that lurk in your bathroom cabinet that are filled with toxic chemicals, preservatives & synthetic fillers. It is light in texture & can be used as a hand, body & facial moisturizer. So what are you waiting for, go make some. Sterilise your jars or containers with boiling water & set aside. Put a large saucepan of water onto boil. In a glass jar mix the bee’s wax, coconut & sweet almond oil & put this into your saucepan of water to heat so that it can melt. In another glass jar pour in your aloe vera & allow this to also heat up slightly in the saucepan of water. Once your wax has melted into your oils take both jars out of the hot water. Gently pour your heated aloe vera juice into your melted wax & oil mix & stir to combine. If you have a blender or stick blender this cream will combine so much easier. As the mix starts to cool blend it on a low setting (or vigorously beat with a fork!) until the cream comes together & there is no separation of oils & liquids. Once cream is lukewarm add your essential oils & vitamin E oil & keep stirring until completely cool. Pour your cream into your sterilised jars & store in the refrigerator. Trust me this cream is well worth the effort. NOTE: This cream may separate from time to time, making a light liquid based lotion without an emulsifying agent can be a tricky business. I have found that using a stick blender with the whisk attachment on & whisking until the cream is cool prevents this. Readers who have used Aloe Vera gel & not juice have had trouble with splitting – I haven’t tried it so I can’t comment. If you have trouble making the cream & getting it not to separate you can adjust the recipe & use either all Emulsifying wax or 50:50 Emulsifying wax & beeswax for a more natural option. If the cream separates some readers have been able to gently re-heat it & re-beat it, beating until its cool to re-combine the lotion. Good Luck & enjoy your lotion making!! I am an un-ashamedly girly girl. With that little secret out of the closet. I can now tell you how much I love lip gloss. I have probably owned a pot of every colour known to man; from shocking pink to clear, to full on glitter. You name it I have had it. Gloss fixes everything – right? Well after reading about all of the nasties that go into lip gloss, I thought my little love affair was over. That was until I started making my own lip gloss & fell in love all over again! Now I can slather on gloss without a care in the world; knowing that I am not licking, sucking and eating nasty chemicals & petrol by-products off my lips – yuk!. This gloss is what I would call a finger gloss as it can be applied with your finger. The consistency is not hard enough for a chapstick tube, but not soft enough to be applied with a wand. It has beeswax to protect & nourish and castor oil to give it a nice slick shine, the addition of stevia & sweet orange essential oil will have you wanting to eat this from the pot – and guess what? – you can!! – because there are no nasties! 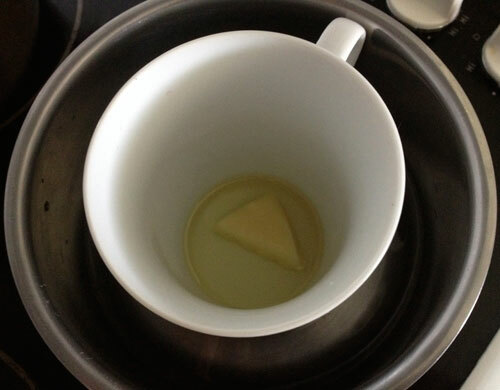 Place the beeswax, castor oil & almond oil in a glass or ceramic bowl over a double boiler (I use a ceramic coffee mug in a saucepan of simmering water – it does the trick). Slowly heat the oils & stir to dissolve the wax. Once the wax has dissolved take it off the heat & leave to cool. Once you can start to see it setting around the edge, quickly stir in your stevia, essential oil & any iron oxides or mica’s you might want to use to colour the lip gloss. Being a girly girl I do like to tint mine with some red iron oxide and other mica’s depending on the batch! This recipe would also work great with all castor oil if you don’t have any sweet almond oil, it would just make the gloss that bit slicker & give you more of a wet lip look. You can even make it with coconut oil as that gives the gloss a nice subtle taste & fragrance. 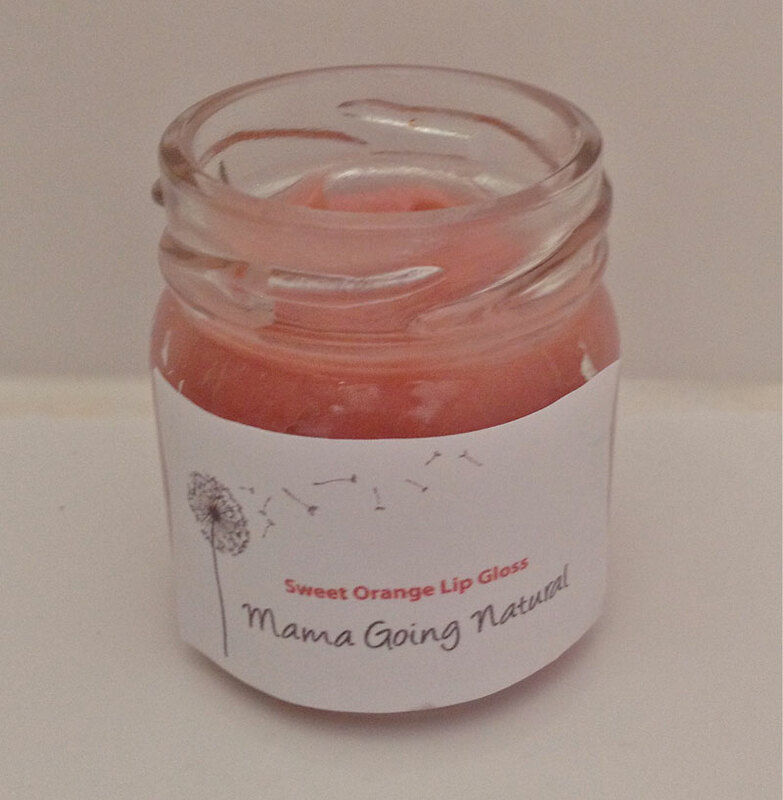 The stevia can be omitted, I just like it as it makes the gloss feel more like the ones you buy from the cosmetic counter with its sweet orange flavour – but I do warn you, it is good enough to eat, so you may find yourself licking your lips! If you decide to play around & add colour to your gloss with iron oxides, just add it a pinch at a time as the colour goes a long way. I have experimented with the iron oxides & made gloss that could double as lipstick all the way down to a light tinted gloss. The difference in the amount of iron oxide used is minute – so go slowly adding your iron oxides or your subtle pink gloss can turn into racy red gloss before you know it.